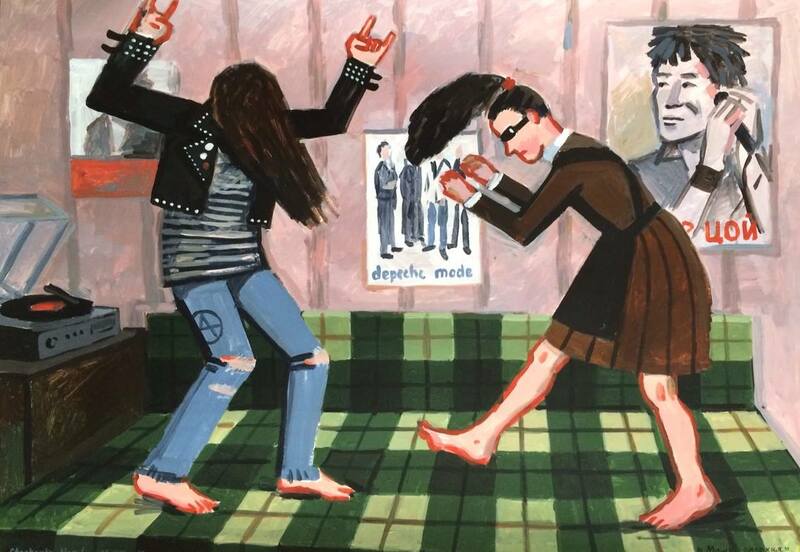 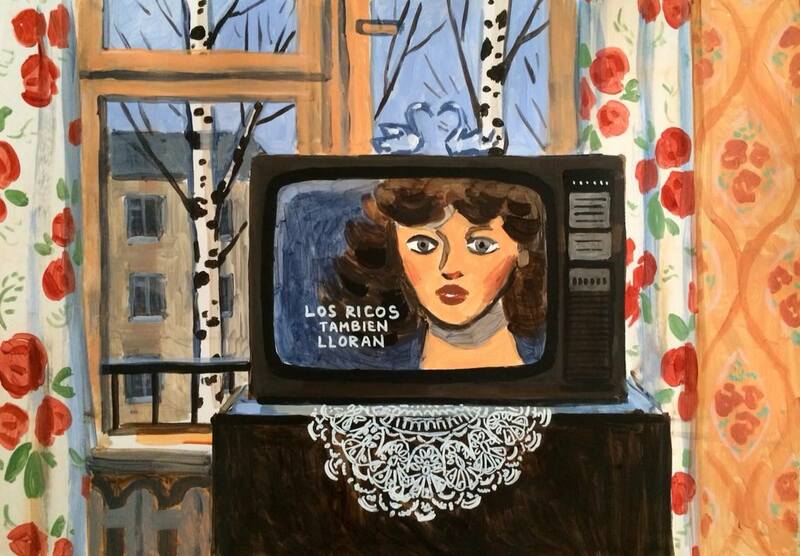 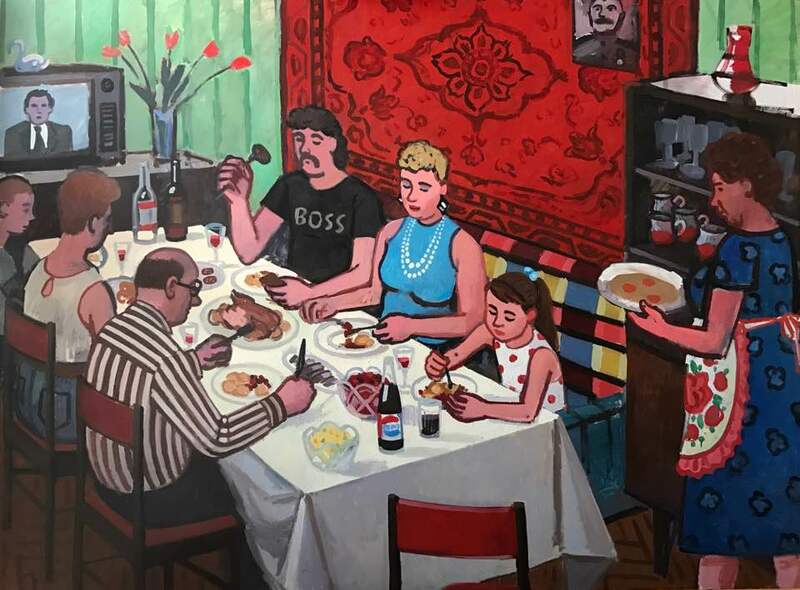 Israeli artist Zoya Cherkassky-Nnadi looks back to her youth in a series of paintings reminiscent of her life as a teenager in the USSR. 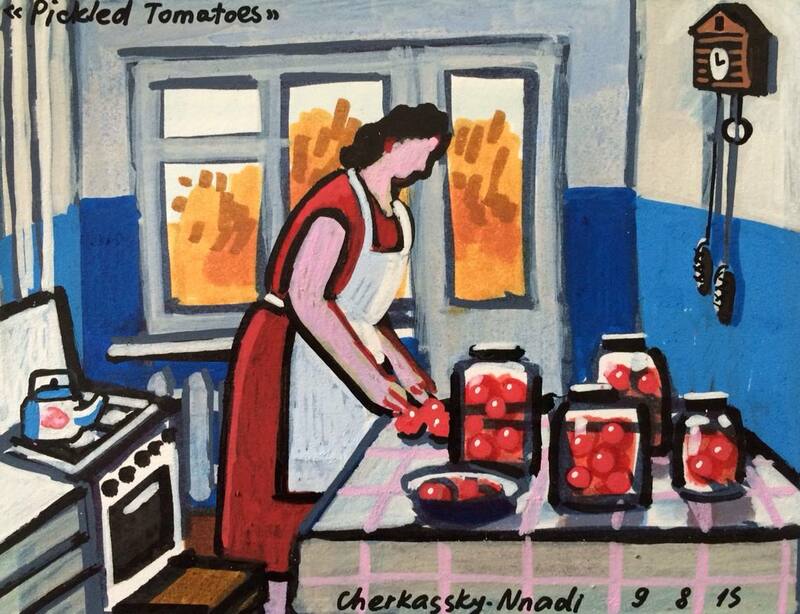 Cherkassky-Nnadi was 15 when her family immigrated in 1991 from Kiev to Tel Aviv, where she went on to study art and become an artist. 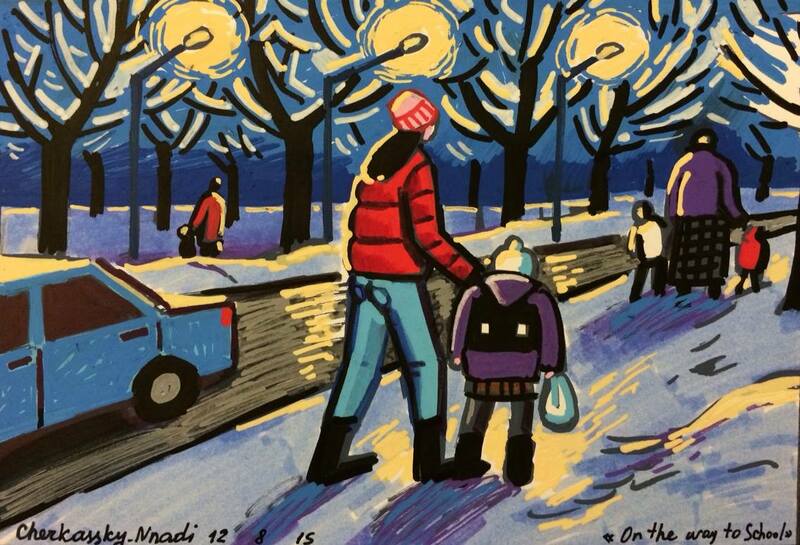 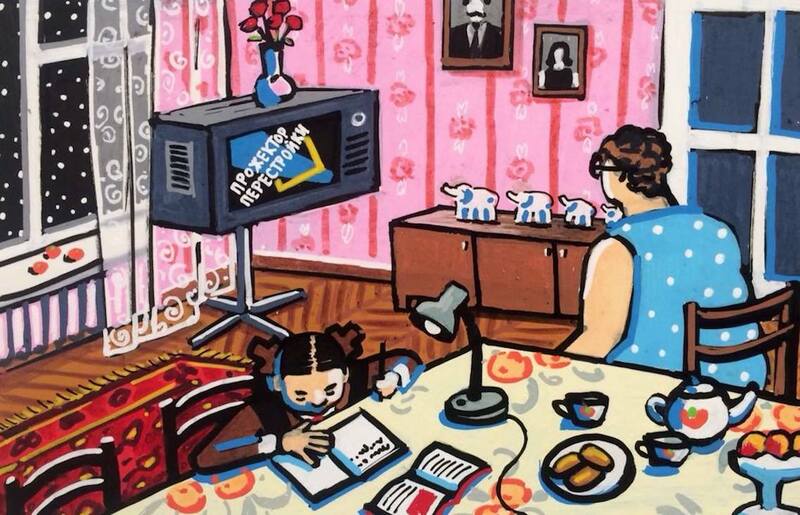 Cherkassky-Nnadi explains that she began her series Soviet Childhood three years ago when she was pregnant, and wonders whether “perhaps being pregnant brought back my own childhood memories”. 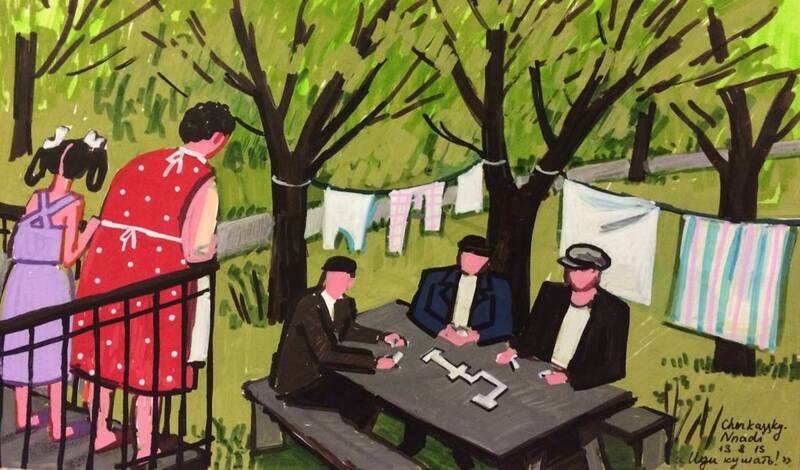 The colourful paintings mix realism with cubism and suprematism as surreal scenes become inhabited by faceless people in the tradition of Kazimir Malevich. 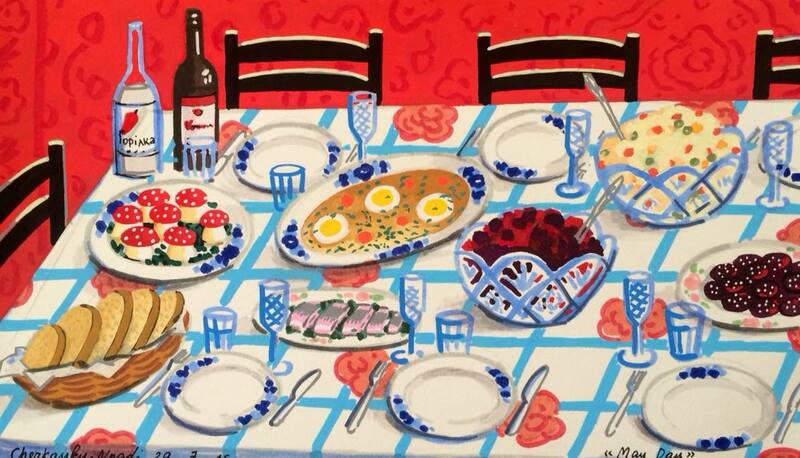 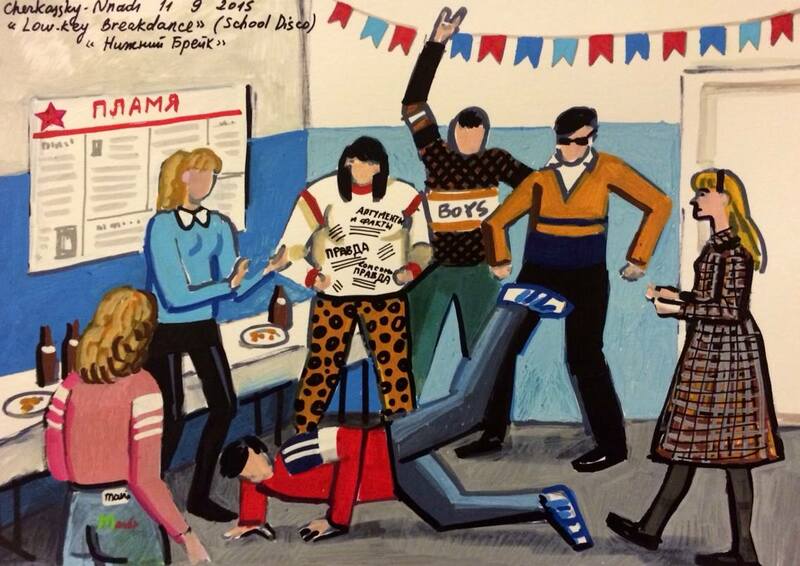 The artwork covers the years between 1983 and 1991, depicting all aspects of growing up during perestroika — there are school discos, the first introduction to western music and punk, smoking after school, family dinners and domestic scenes of making vareniki (Ukrainian dumplings) and pickling tomatoes. 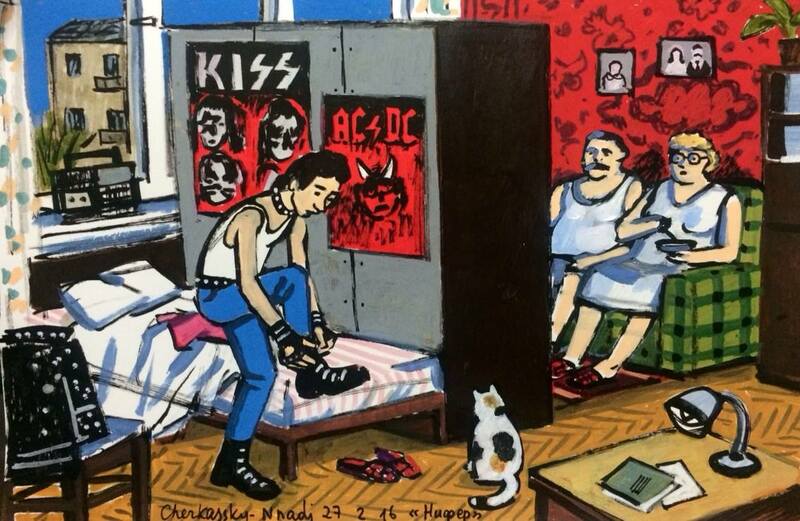 Cherkassky-Nnadi says that the series is still ongoing, as she still sometimes recollects previously forgotten details of her childhood.